Sarmin. Syria. 26th March 2012\nSaleh Mutawa, a secondhand clothes seller from Sarmin, was killed by Syrian Army soldiers at a checkpoint on Monday 26th March 2012. His grief stricken family react as his body is brought to his home. 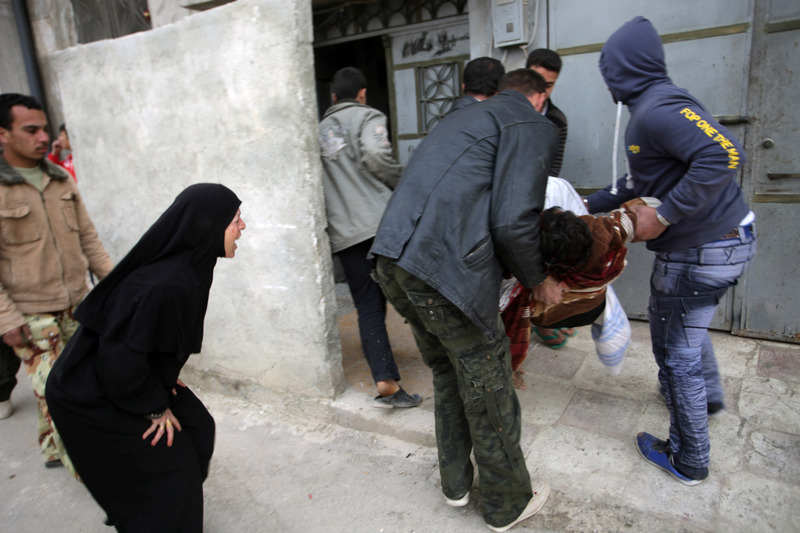 Sarmin was bombarded by Syrian forces last week. Saleh was shot without reason as he neared the checkpoint. Many Syrian are now aware that the west will not intervene on heir behalf, leaving them to face their fate unaided.